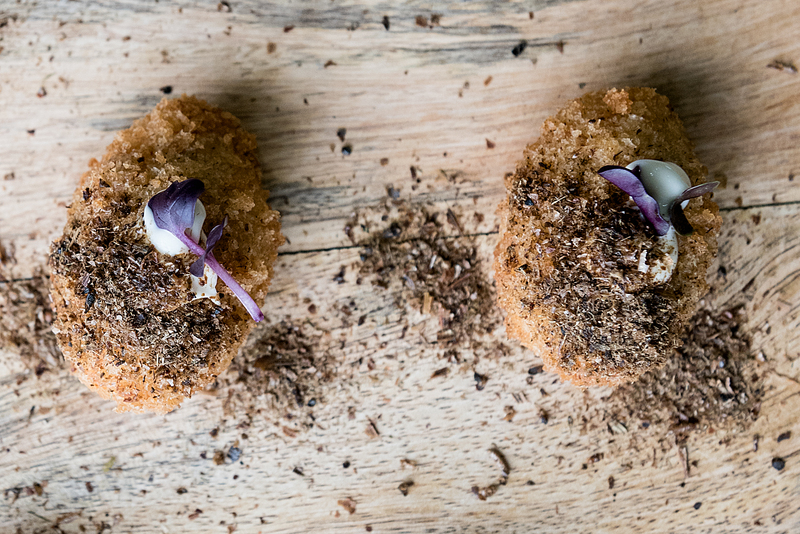 MRM’s Daily Bite features a loyalty survey, restaurant technology companies teaming up and bug-infused cuisine. Send news items to Barbara Castiglia at bcastiglia@modernrestaurantmanagement.com. “These assessments provide a comprehensive and insightful, cross-category perspective of today’s brand loyalty brandscape,” said Robert Passikoff, Brand Keys founder and president. Numbers in parentheses represent rankings among the top 100 Loyalty Leaders. When it comes to loyalty – no matter your category – brands that understand that emotional connections serve as surrogates for added-value will succeed. Brand Keys examined 740 brands in 83 categories. The Restaurant category included four sectors (Fast Casual, Fast Food, Pizza, and Coffee Shops) incorporating 45 brands. Category loyalty has been driven by consumer emotional engagement, with values that go beyond dollar-menus – as the first appearance of Shake Shack and Five Guys in toe top 100 this year proves. Category Loyalty Leaders. Digital and. . .
Loyalty and emotional engagement are leading-indicators of consumer behavior toward a brand. Axiomatically, the better consumers behave toward a brand, the better the brand does in the marketplace. This year, the greatest movements in the loyalty rankings for restaurant brands were: Domino’s (+23), Papa John’s (+21), and Chick-fil-A (+18). The Brand Keys Loyalty Leaders analysis was conducted in September 2017 and includes assessments from 49,168 consumers, 16 to 65 years of age, recruited from the nine US Census Regions. Respondents self-selected the categories in which they are consumers, and the brands for which they are customers. The 2017 Loyalty Leader assessments examined 83 categories and evaluated 740 brands. For the complete 2017 Top 100 Loyalty Leaders List, click here. Revel Systems is partnering with LoyaltyPlant to offer a fully integrated mobile ordering and loyalty program. This partnership further builds out Revel’s suite of integrated tools that profitably expand and enrich the customer experience. Revel continues to enhance its mobile offerings, demonstrating its commitment to stay ahead of the ever-increasing demand for mobility. By partnering with LoyaltyPlant, Revel’s platform offers a complete solution to digital ordering and customer loyalty. The feature-rich, seamless integration includes a built-in mobile bonus loyalty program, targeted marketing campaigns and ROI projections, referral programs and social media integration, proximity marketing, and menu items, among many other features. Revel businesses can create a whole new revenue stream while easily increasing retention and loyalty of existing customers. Catersource returns to Las Vegas in February 2018 for its 26th annual conference and tradeshow and announced Erik Wahl, best-selling author, artist and TED speaker, as the keynote presenter. The event will kick off with two days of in-depth educational sessions followed by an award-winning tradeshow floor with more than 300 trendsetting exhibitors, sponsors, culinary competitions, happy hours and tastings. The 2018 conference will take place February 18–20, at Caesar’s Palace, and the tradeshow will take place February 20–21, at the Las Vegas Convention Center. For the second consecutive year, the Art of Catering Food (AOCF) will be hosted at the event from February 18 – 21, 2018. For additional information, click here. Wahl, an internationally recognized artist, motivational speaker, best-selling author and entrepreneur, will keynote at the event on Sunday, February 18. During his presentation titled, “The Spark and the Grind,” Wahl will discuss how structure creates freedom and, while on stage, produce two large format paintings that will be given away. His presentation will resonate with catering professionals of all kinds, including chefs, event planners, sales, marketing, owners and managers. 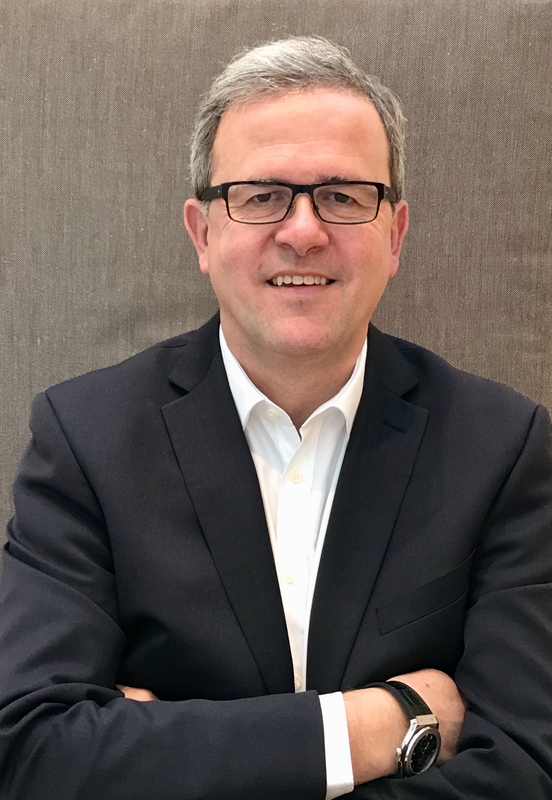 Global hospitality company Hakkasan Group has expanded its executive team with the appointment of Michael Neuner as Vice President Operations for UK and Europe. Having spent 30 years in the hotel, restaurant and entertainment industries, Neuner will take a leading role in ensuring the continued success and smooth running of operations for all London restaurants and Ling Ling locations in Mykonos, Marrakech and Oslo. Hakkasan Group is a worldwide hospitality company with establishments across North America, Europe, Middle East, Asia and Africa. Its namesake is taken from its Michelin star restaurant that set the high-level standard for the group’s collection of diverse brands. Its ‘brand first’ philosophy builds restaurants, nightlife, daylife and soon-to-open hotels, resorts and residences into world-class hospitality brands, all with a focus on service, design, innovation and experience. Its restaurant portfolio includes Hakkasan, with 11 locations worldwide, Ling, Yauatcha, HKK, Sake no Hana, Herringbone, Searsucker and Ivory on Sunset. Under the nightlife/daylife umbrella of brands are Hakkasan Nightclub, Wet Republic, OMNIA and JEWEL Nightclub. Ehrlich Pest Control recently hosted a pop-up “Pestaurant” at Pratt and Light Plaza in Baltimore. 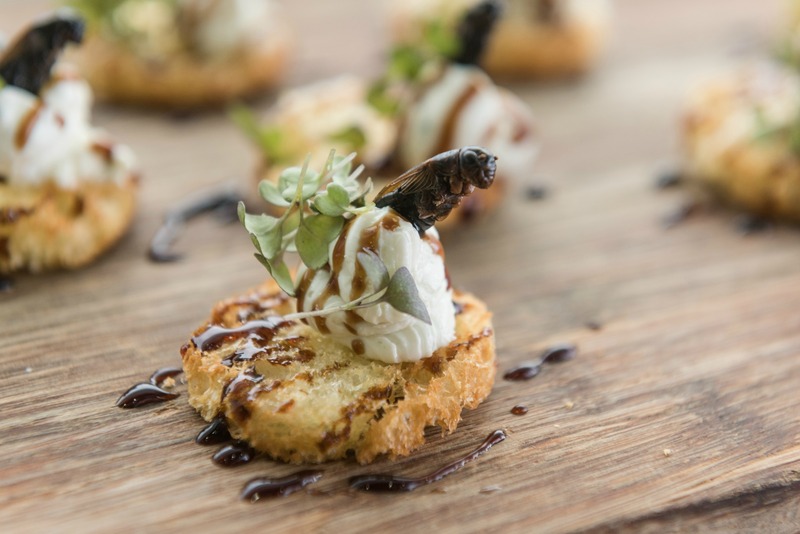 Passersby were invited to sample bug-infused cuisine prepared by by the Eleven Courses Catering & Event Company, including June Beetles Encrusted Croquettes, Fried Cricket Crostini, Maryland Mealworm Crab Cakes, and Grasshopper Bark. 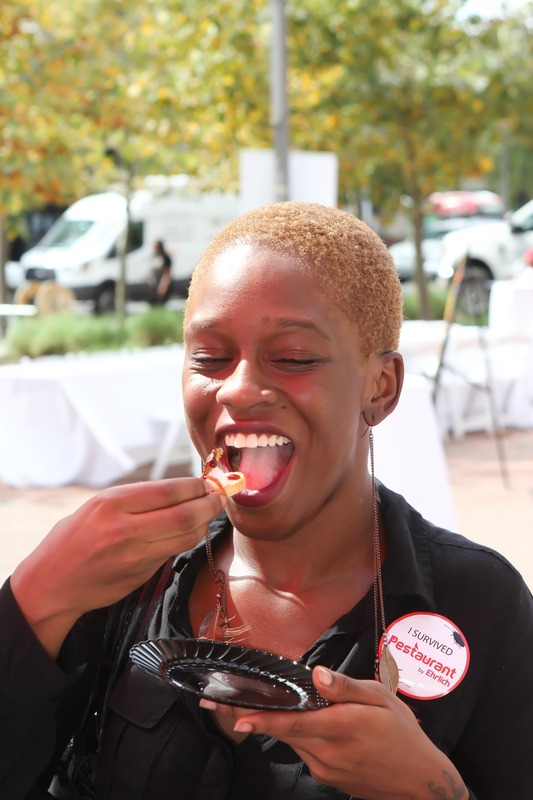 For all who tasted these dishes or took part in the cricket eating contest, Ehrlich donated to the Maryland Food bank to support the organization’s ongoing initiatives. For the cricket eating contest, whoever consumed three small containers of the insects the fastest received a bottle of champagne and a certificate. Ehrlich also handed out packages of ant lollipops, chocolate covered scorpions and salt and vinegar crickets, among other items. This is the fourth year of the event, with previous Pestaurants hosted in Washington, D.C., Los Angeles, Boston, etc. The objective of “Pestaurant” is to raise awareness and to show that pests, while often feared, can actually contribute towards a healthy diet. While people tend to only look for preventive options to guard themselves from insects, they should also consider that pests are high in protein, zinc and calcium. “Pestaurant” offers attendees the opportunity to sample unique dishes, partake in the popular cricket eating contest and take “Pest Selfies” for a free and fun experience.